District 1’s high rise Vincom Center with its collection of luxury stores and chain restaurants is about as close to the West as Saigon gets. Down in the basement food court is a Carl’s Jr of all restaurants, and unlike KFC offering local nuances such as rice with the chicken, Carl’s Jr is full on, in your face, big and bold Americana. I dispatched a picture of the place to a friend back home via my Iphone and within seconds got a reply from Toby saying “yum” and how awesome the Western Bacon Cheeseburger is. My friend I was with at Vincom goaded me into trying it, and against my better judgment I placed an order for a $5 combo complete with orange Fanta and fries. I politely declined the cashier’s pleas to supersize this restaurant’s mess I proudly have never before sampled anywhere in the world. Its Vietnamese name bò cao bồi translates as cowboy beef. I won’t even touch that one. The stench of a deep fryer is one odor transcending all cultural boundaries, and had I closed my eyes, I could have been standing next to a cash register in Ogden, Utah waiting for my takeaway gut bomb. The girl handed me a brown paper bag already showing the telltale signs of oil soaking through, and plastered across the front was some dubious warning stating “THIS BAG DOUBLES AS AN AIR FRESHENER.” On what planet does this even remotely begin to smell good? What have I done here? As I hauled this festering junk home by taxi, the air freshener began to stink the subcompact Toyota up to high heaven. The driver turned around and shot me the stink eye more than once, and I just wanted to shrink into the corner. He said “choi oi” or oh my God over and over as traffic slowed our progress. I got to thinking about how two years ago fish sauce and durian fruit were smells beyond repulsion to me yet somehow now even they would be such a lovely perfume compared to this flavor of air freshener. Even in my apartment’s elevator two women seemed to recoil in horror and for probably the first time I truly felt like a foreigner unable to blend into an Asian world due to this little sack of horrors. 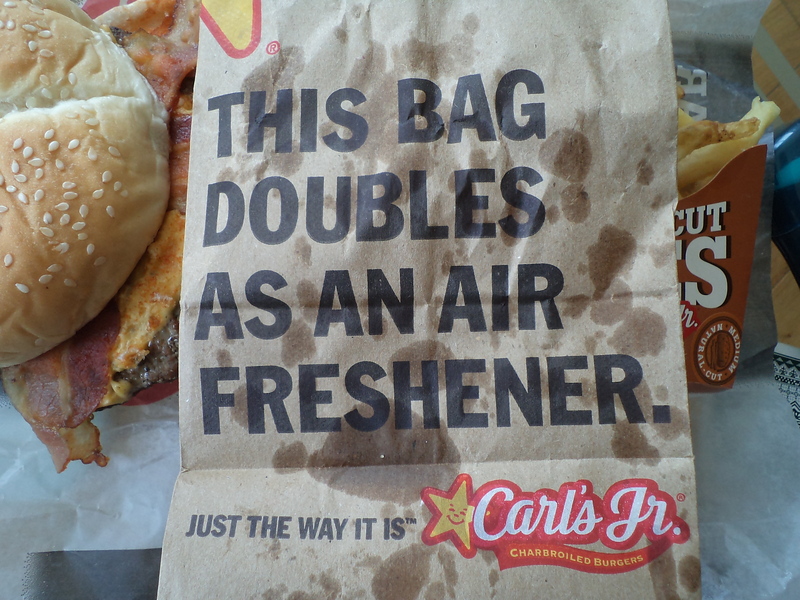 By the time I reached my apartment the bag supposedly doubling as an air freshener was soaked through and through and the waxy paper holding the hamburger was awash in sheen of oil. Choi oi indeed. That taxi driver had it right from the get go. I spread the bounty across my coffee table and girded myself for the first bite. 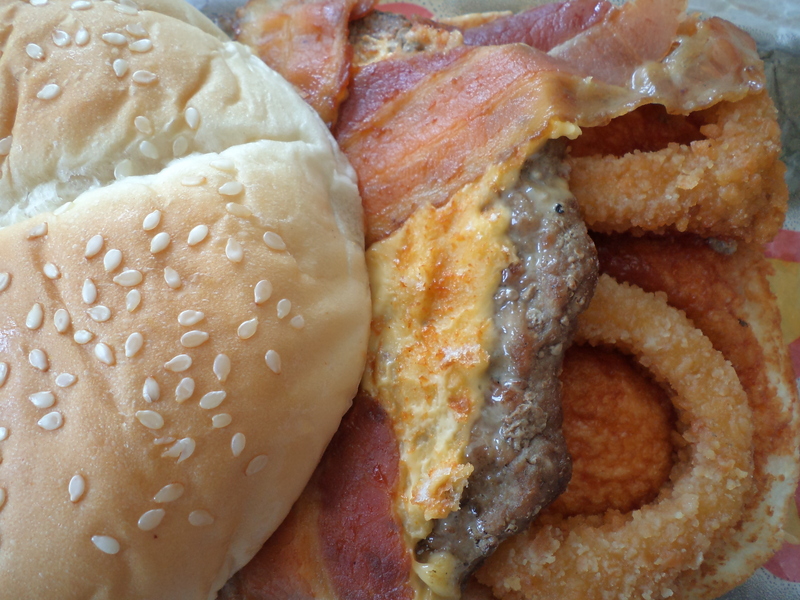 Sinking my teeth into that hamburger bathed my tongue in the greasy taste of processed cheese product, cow meat, mushy onion rings, and bacon with a smear of bottled barbecue sauce exuding that telltale plastic after taste. No wonder America is a bloated nation whose collective waistline continues to expand into a girth of massive proportions unimaginable in this corner of the world. Just smelling this crap packs on a few pounds and causes disturbing hallucinations of Jenny Craig prancing around a diet center. I rarely eat this sort of food in the US and certainly avoid it over here. 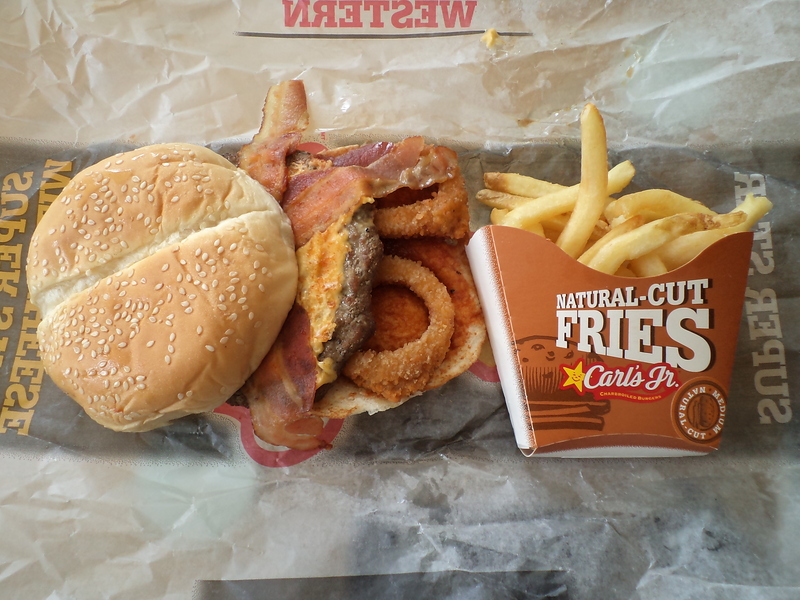 I just couldn’t finish it, and only two bites of the burger and three greasy fries were causing my stomach to rebel with a constant parade of tortured belches. For the price of this mess I could have had four hearty and healthy street food meals. Give me my rice, soup, vegetables and right size portion of protein served up with the locals any ole day. 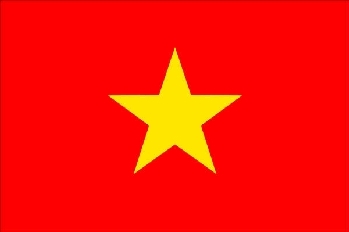 Maybe I am becoming more Vietnamese than I ever realized. At least the trash bin ate well after I tossed this one in.